Bishwa Ijtema Bangladesh is the Global Congregation or World Congregation or Meeting is an annual Tablighi Jamaat Islamic movement flock. 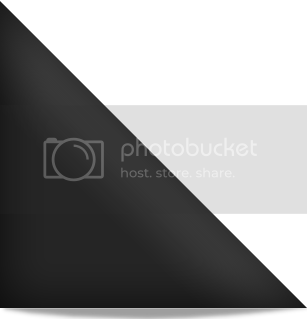 It held annually at Tongi near Dhaka city Bangladesh by the river Turag in two terms.The congregation takes place at an area comprising 160 acres (0.65 km2) of land (0.25 square mile). The Ijtema 2013 will be held very soon. 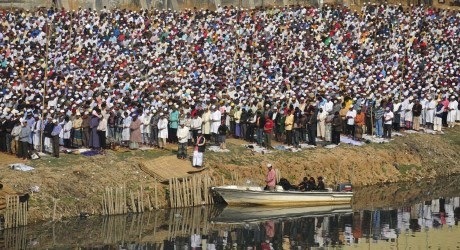 All update of Bishwa Ijtema 2013 will be available here. 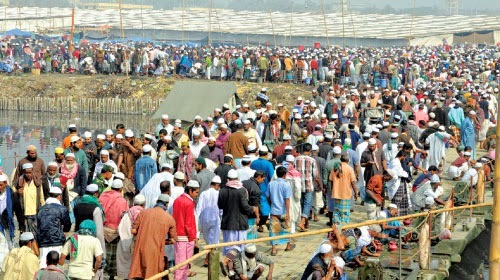 The first phase of Bishwa Ijtema 2013 Dhaka entered second day on Saturday with the delivery of sermons, prayer for exaltation and welfare of the Muslim Ummah amid recitation from the holy Quran and Hadith. The three-day Ijtema, the largest congregation of Muslims after Hajj, started Friday on the banks of the river Turag in Tongi with the participation of lakhs of devotees from home and abroad defying bitter cold to seek divine blessings of Allah. As in the last three years, Biswa Ijtema will be held in two phases this year with the Phase-1 formally opened today and ending on Sunday (Jan 11-13), while the Phase-2 to be held at the same venue about a week later on Jan 18-20. 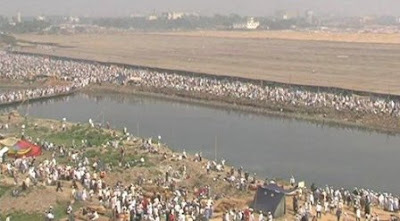 Tens of thousands of Musallis (devotees) converged on the bank of the Turag River at Tongi as the first phase of Biswa Ijtema, the second largest congregation of Muslims after Hajj, begins formally after Fajr prayers today(Friday). 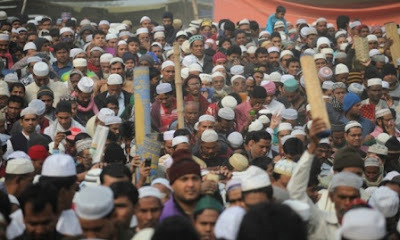 Although the 48th version of Biswa Ijtema formally opened this morning, the biggest gathering of Tabligh Jamaat virtually started with delivering of bayans (religious sermons) by religious scholars after Maghrib prayers on Thursday.